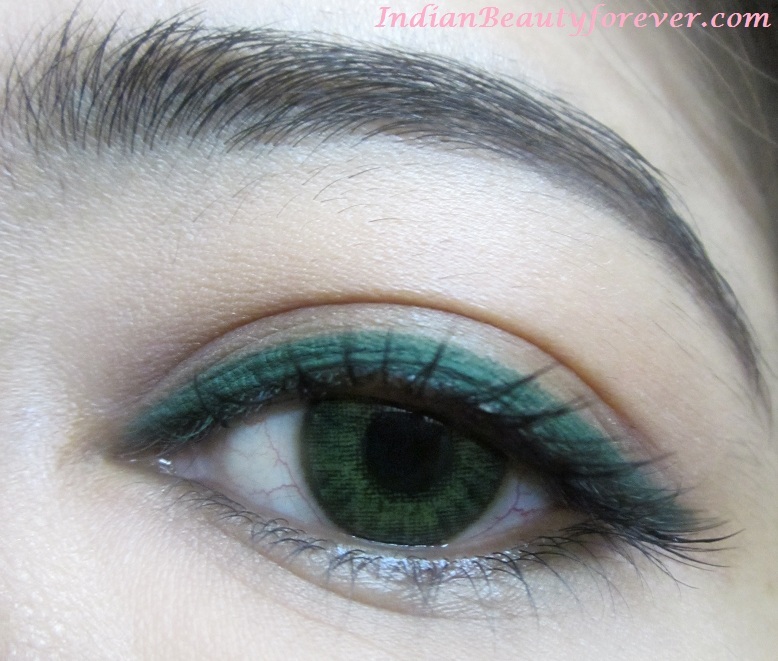 I have already reviewed the Faces eyepencil in Turquoise Blue and Metal brown. So, today I thought of sharing a short review with swatches and the EOTD only Since, you might be aware that how wonderful and pocket friendly Face eye pencils are. I was already in love with the previous two colors I have reviewed and those one in dark green has also been able to exceed my expectations from these pencils. Company claims- Soft, creamy eye liner pencil glides on easily over the eye lid to define and highlight your eyes. The long staying formula lasts all day, yet is gentle and safe for people with sensitive eyes. 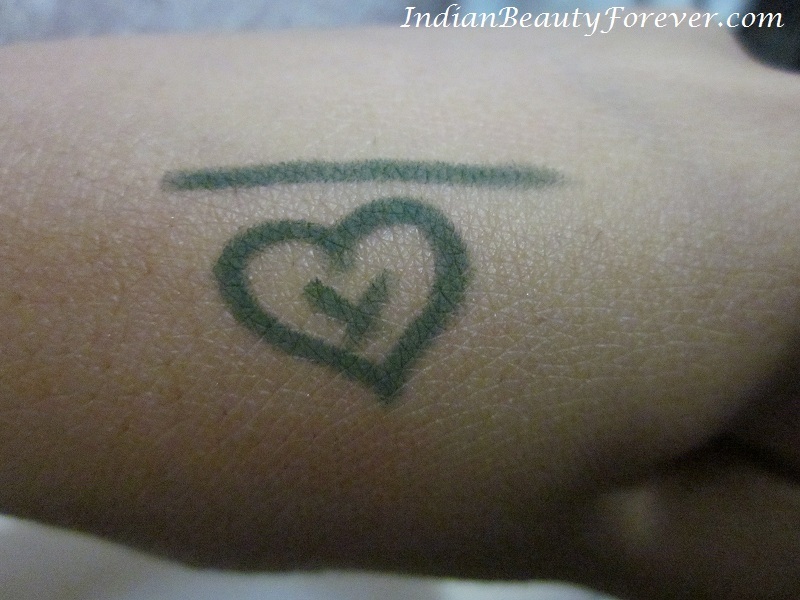 My Experience- This color is called as dark Green which is an very beautiful green color. I would say that instead of dark green it is more like of a leaf green color but still very pretty and refreshing. It is a matte shade that stays on the lids for a longer time once it sets. It is smudgeproof like the other faces canada eye pencils. I could not find the list of the ingredients on the pencil. It is not prone to breakage while sharpening. 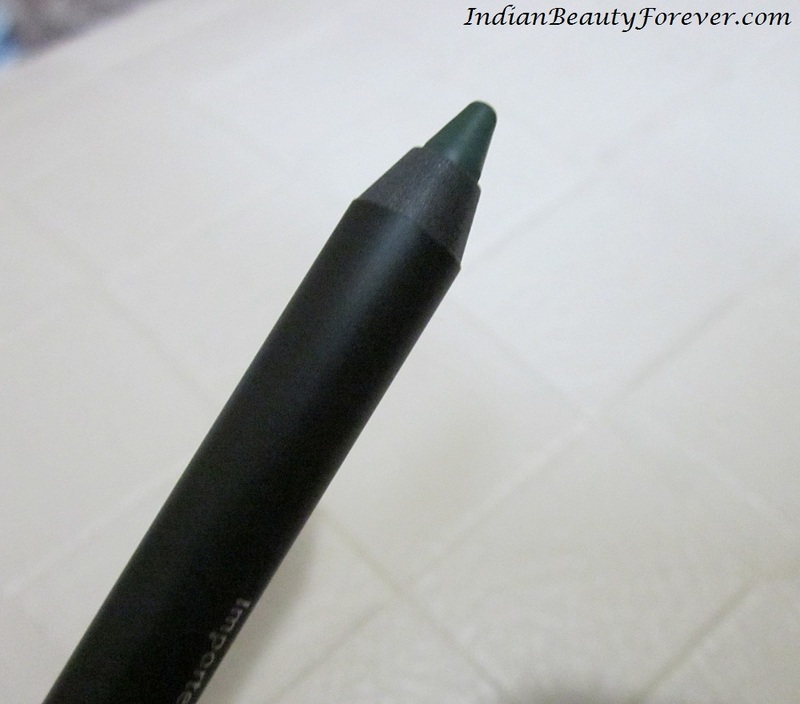 This shade i suppose will not be much visible on the dusky skin tones as its a matte dark green color. If I talk about the texture then you might be aware by now, that these faces pencils have a very smooth gliding texture that doesn't tug or pull the eyelids much. It's very creamy and yet smudge proof. How awesome is that!!! especially for that price. My Take: Highly recommend. they are great value for the money. 4.5 out of 5..sounds amazing.. I hope you are fine now !! I love these pencils :) nice swatch! Sure Nicole.. i will follow you dear1!! this looks really nice on you. hmm let me see if i can get my hands on it. Thank you. try it its a nice color!! It's beautiful and whatever color you wear suits you. Did it actually glide smoothly on your lids? I REALLY love this pencil and its my fav from faces. Its so smooth, creamy, dark and lasts long too! They are my favorite too coz they are so pigmented and yet stays for long ! !